Born in Germany, Hauptmann immigrated to the United States after World War I. He made his living as a carpenter and a burglar. In a sensational trial spanning January 2– February 13, 1935, he was convicted of kidnapping and murdering the 21-month-old son of American aviator hero Charles Lindbergh and his wife, Anne Morrow. Dubbed the “trial of the century,” the proceedings in a Flemington, New Jersey, courthouse received intense international media scrutiny, but the conviction of Hauptmann was plagued by controversy that remains unresolved to this day. 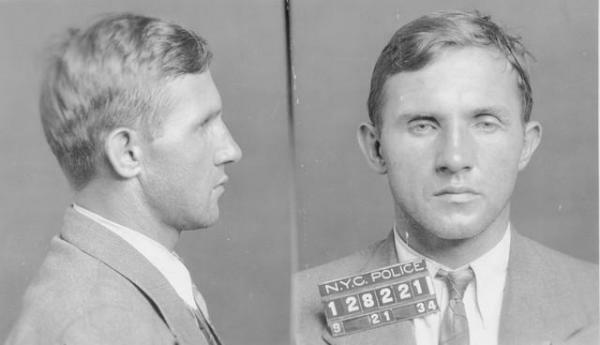 Despite the doubts and qualms of many—including New Jersey governor Harold Hoffman—Hauptmann was executed on April 3, 1936, protesting his innocence to the last.